A gentle peace of advice I would like to offer is that of distractions to direct looking. The ‘I’ (ego) while under the scrutiny of direct looking into its illusory nature will offer resistance, either through fear or the more seductive way of pleasure. The ego’s intelligence is such that if fear doesn’t cause the cessation, then pleasure will. In this way it brings a searching for things that will offer feelings that sooth. By following these nice feelings the identification with the ‘I’ is maintained and strengthened. It’s a bit like running a marathon, and at the half way stage being offered the opportunity to call into a hotel for a spa treatment, massage followed by a sumptuous meal. There’s nothing wrong with that, but the marathon is thus sacrificed. This is good advise, and I love the metaphor of the diversion of a spa. Did you ever see the series “Northern Exposure”? This has been my favorite ever.In one of the last episodes, “The Quest”, Joel invites Maggie in to the wilderness – he has found an old treasure map and wants to find the treasure! They hike for days, and we understand that the treasure really is the Grail. The episode is really a map for awakening from illusions. After some days, the couple finds a spa-resort in the middle of nowhere – just as you warned me. They get their massages and good food and drinks – and Joel/me forgets what he came for – but Maggie /Chris reminds us of it. They come to a bridge – The Gate. It is of course locked, and the guardian of the gate played by the main trickster-figure in the Series – gives them a riddle: “How do you keep the one you love?” Joel answers: “You don’t. Love is not possessive There are no ties in Love.” They walk through the Gate/over the bridge, and in the night they find the spot on the treasure map where The Jewelled City is. It is right THERE – and Joel sees it: it is new York and Manhattan, his home before Alaska. He wants Maggie to go with him, but she says no, she HAS her Place – and she/Love lets him go. Looking out through the veranda-door this morning – something was shining so brightly out there, placed on of the boards of my veranda. How did it get there? what was it? I went out: a little translucent snail. I followed my first impulse (from fear:) flip it down at once! I will not be barraged from snails! Having done that, I immediately regretted it. That little one had used tremendous of energy and clear direction and climbing and climbing – i n all directions: vertical, then horizontal, glueing itself to the bottom of a plank, (snailhead down) than upwards again. I went downstairs and found it, and brought it up with me again. I went down again wih my cellphonecamera, watching the front of the house. How did the snail of strong direction do it? It was on the fourth plank from below. I started thinking – how I do that, as a nasty habit of fear: I climb and climb through 67 years, in all kind of directions, and when I at last have found a sweet platform to rest on and enjoy the view, I flip myself down again and tell myself fear-stories. It feels like I have come up from really murky heavy drugged waters. Been there for weeks – short periods of peace in between, but mostly feeling drugged. 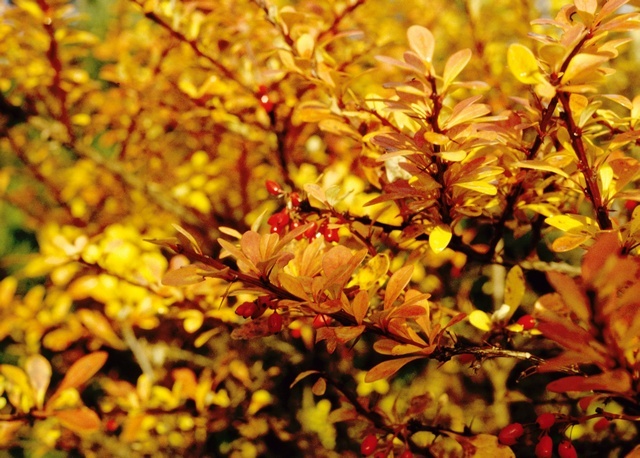 I dragged myself out in the garden to remove some sticking shrubs: Japanse berberis. LONG THORNS! I worked with thick gloves, and still was stung again and again and again. I got angrier and angrier, telling the bush that I hated it. I allowed that hate to grow, it felt dangerous….”now I will be punished” told the ego, and I sort of believed it… dark clouds gathered, and a sudden strong rain came. I was inside when the first lightening and thunder started, and pulled all the plugs, sitting and asking for help to see this differently. Within 2-3 seconds, the state of druggedness and fogginess evaporated. I have felt like 98 years for a long while – now I feel like 30. The ever-present pressure to “do something useful” that has felt like a heavy steelband around my temples has gone too. This is the weirdest day. It has lasted about 45 hours since the morning. Mary mailed me, contradicted herself and stopped our partnership. I was thinking how much I have worked with forgiving all the aspects of our relationship – and how I saw us, clearly, a couple of nights ago, within a cocoon of radiant light. I got the “message” that all was taken care of between us, whatever happened later was just part of the dream/the script – not to be taken seriously. That made it possible not to answer the strange mail, to “set her straight”, to correct the contradiction and all kind of those things. What was real, was the image I had seen -so I just let it all go. And the big trial against the terrorist started today. I am swallowed up by the collective feeling about it all: overwhelming stuff to put it mildly. I am sitting glued to the TV, watching me watching it and having all these reactions – and allowing. Outside it was wonderful sunny weather – then it started to hail, and now it is sunny again. My sense of time has gone. When we think on I AM all other thoughts will eventually dissipate. They have to do so. Their life comes from our belief. Without our belief, there is no life. I AM is the eye of the storm. The winds are swirling in every direction, but I AM is not touched. Our ego will continue to visit and will throw stones in many different directions trying to distract us from our focus. But we remain steady. We remain constant. We stand in I AM. The eye in the storm…the I in the storm…I remember an episode when I was 4 years old. I was standing outside the church close to my house, where I used to play alone in the churchyard. My mind was in a big turmoil from all the chaos and abuse at home which I had to push away properly not to “lose it.” So I pushed it so hard out that it felt like I was standing in a cyclone. I still remember the “outer wind” mirroring the inner wind/chaos – and suddenly, all was still: I was standing in the I in the storm, and knew I was safe in this center. And wonderfully – in this moment the priest who lived in a house 10 meters from where I stood, saw me in the wind, ran out, scooped me up in his arms and carried me inside, where he called my parents to come and get me. Suddenly I remember HOW it feels in that Eye/I. THanks my dear sister for this image. It was just what I needed right now.